Hurry and get the LEGO Star Wars Darth Vader Transformation 75183 Building Kit today for only $17.49 (regularly $24.99) from Amazon! Recreate Anakin’s transformation into evil Darth Vader with this LEGO brick recreation of the medical bay scene from Star Wars: revenge of the Sith. 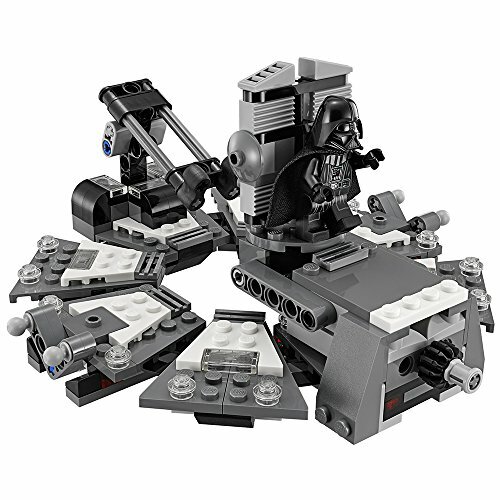 This detailed set features a table with space for Anakin that lowers and flips to reveal Vader, Emperor palpatine’s greatest creation. You can also slide his iconic helmet into position and, like he did in the movie, pretend to use the power of the force to send the buildable droid and lightsaber rack flying! This multi-function LEGO Star Wars toy includes three mini figures and two buildable medical droid figures. Buy the LEGO Star Wars Darth Vader Transformation 75183 Building Kit from Amazon. Previous articleTampax Pocket Pearl Plastic Tampons ONLY $.08 per tampon! Next article48ct. LolliZ Gel Pens & Gel Pen Tray Set Under $10 at Amazon!